The room Chyng and I shared (as well as Agnes & Dane‘s) is similar to the room we had in Microtel Boracay, when I went with my family, and their suite is the same as the suite we stayed in at Microtel Tarlac, where we stayed during Lakbay Norte 2. 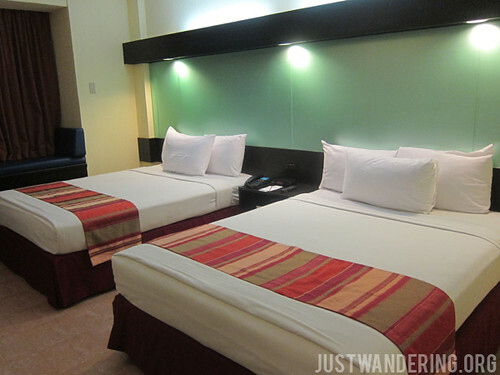 Of course, the highlight of every Microtel stay are their amazing beds. Their chiropractor-approved mattress are so comfortable it’s making me hate my own bed. Coupled with the air conditioner cranked down to a nice 21°C, it was a very restful sleep. The next morning, we headed up to Millie’s for the buffet breakfast. While the selection is rather small, there is still enough variety to match any appetite or preference. Now, the location may not be the most exciting — it is inside an industrial park after all. However, it is within comfortable driving distance to some attractions. There’s the Padre Pio Shrine, which was not quite we expected. When we were told we’re going to a shine, in our minds, we were picturing a typical church. What we weren’t expecting was a round building with no walls. It is so rustic and quite impressive in its own way. 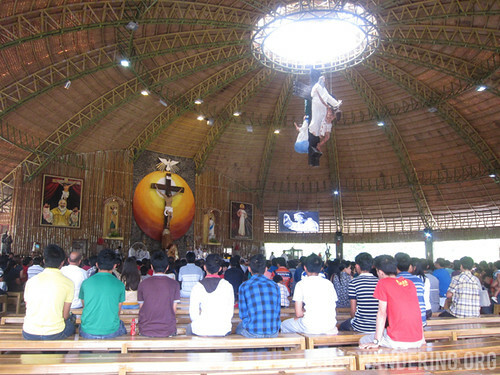 It’s definitely a great stop if you’re in the area, or if you’re doing a Visita Iglesia. Mount Makiling is also nearby, and you can drive to UP Los Baños to explore the campus, hike around the foot of the mountain, or food trip. Speaking of food, I’ve actually been to FPIP before, to Minori-tei, the Japanese restaurant. Unlike before, when it was filled with Japanese nationals on their lunch break, the restaurant occupied by a handful of local diners. Norman Eusebio of Microtel tells us that the restaurants and the hotels in the park are full during the week, as there are many expatriates working and staying there. 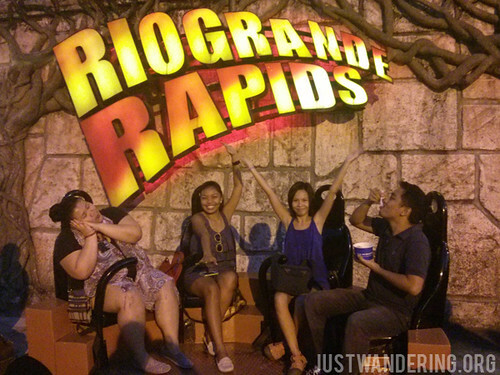 On the weekends, however, they prefer to stay overnight in Metro Manila, where are more activities and nightlife. 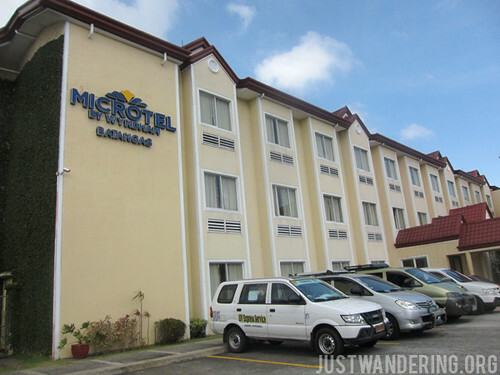 Microtel Batangas is offering an Enchanted Weekend package, where you get to stay overnight at the hotel, enjoy the buffet breakfast at Millie’s, and get ride-all-you-can tickets at Enchanted Kingdom, which is only a 20-minute drive from the hotel. 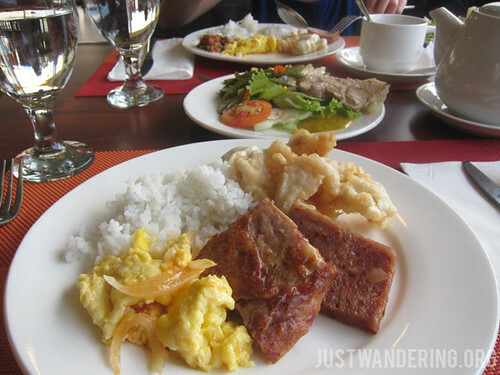 This package is good for four people, and costs only Php 4,600. Considering that tickets to Enchanted Kingdom is at Php 600 each, it’s not a bad deal at all. 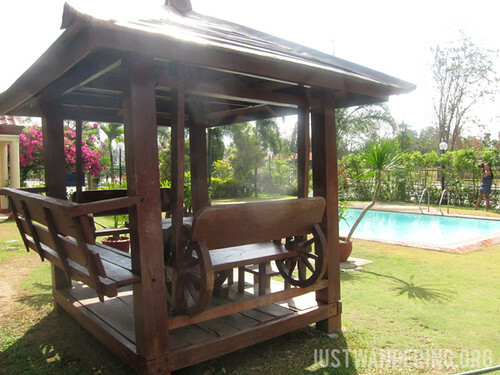 This package is available for stays on Friday, Saturday, and Sunday only, until December 31, 2014.
what is the distance and travel time from Microtel to Father Pio shrine in san pedro sto tomas?? ?